• We commence your Wednesday Purge with the news that Brisbane natives Sheppard are back. 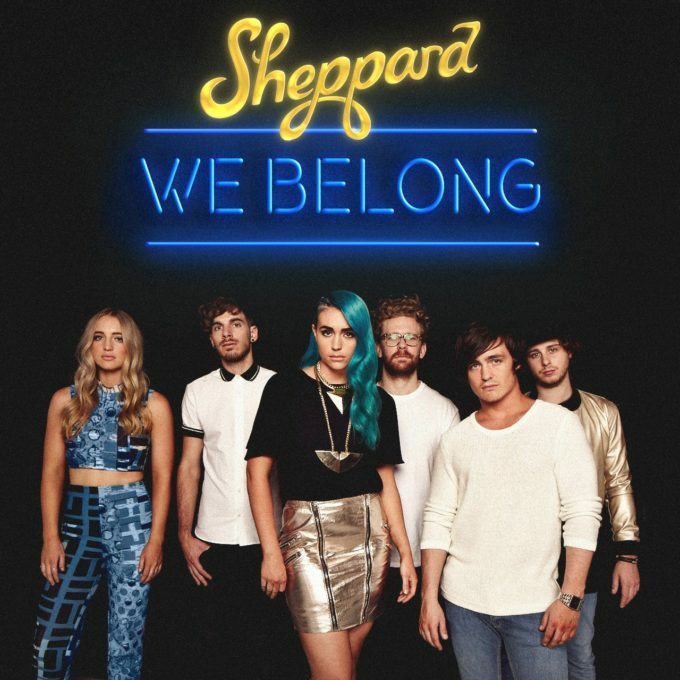 The band’s new single ‘We Belong’ is already impacting at Aussie media and retail and provides us with the first taste of the band’s sophomore album, due for release next year. The track was recorded in their hometown and was co-produced by the band, along with Stuart Stuart. It’s set to feature on promotional spots for Channel 7’s ratings smash ‘My Kitchen Rules’ over the summer months. • Less than two weeks before they touch down in Australia for their national tour, TLC have dropped a new single. ‘Haters’ is the duo’s first new music in two years and will be featured on the ladies’ final ever album, due for release in 2017. “This album, our final album, is dedicated to all of you that have stuck with us, always challenging us to do our best. And of course, it’s for the new fans too! We just want to put out great music that touches everyone. That’s it,” they said in a statement. • Ready to take a trip back 30 years? To a time when INXS, Jimmy Barnes, Divinyls, The Models, The Saints, The Triffids and I’m Talking were touring the country together on the ‘Australian Made’ tour? Well you can, with never before seen concert footage from those very events making their way into cinemas for one night only later this month. Not only will fans get to relive stage performances from the six concerts, but there’s also plenty of behind the scenes footage and interviews. Check your local Event Cinema or Village Cinema to see if they’re participating on Friday November 25. Click HERE for a sneak peek. 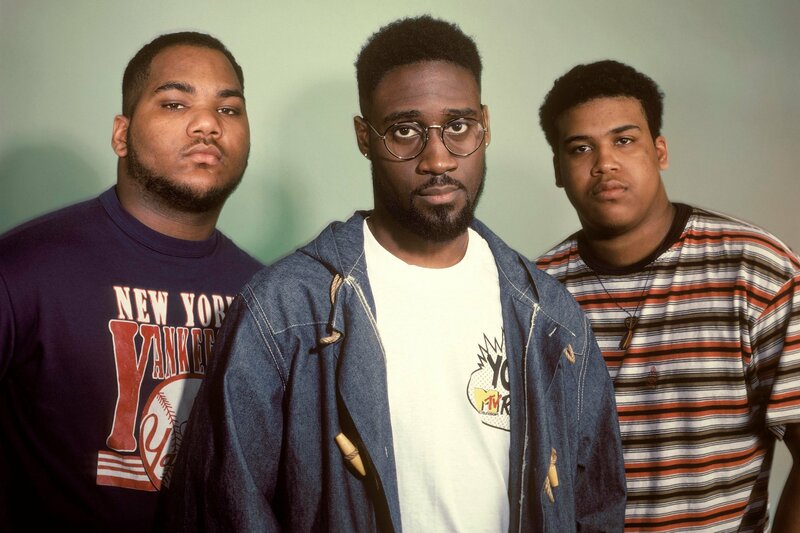 • Recently confirmed to play Brisbane’s Oh Hello as part of their upcoming visit, US trio De La Soul have now added a one-off show in Melbourne. The band will be performing tracks from their recently-released album ‘And The Anonymous Nobody’, along with songs from their back catalogue, including the classic ‘Ring Ring Ring’. They play Alumbra Live on Sunday November 20 and tickets are on sale now. • Iconic hip hop outfit A Tribe Called Quest have confirmed the release of their final album on November 11. The album’s release comes almost 12 months to the day since the band performed together for the first time in 18 years on ‘The Tonight Show’. It was that performance that set the wheels in motion for the creation of the new LP until the untimely death of band member Phife Dawg earlier this year. “But he left us with the blueprint of what we had to do,” Q-Tip said in a statement confirming the LP’s release. There’s no title as yet. • Aussie icon Brian Cadd will step back on stage in Melbourne on November 18 for a one-off show at The Palms At Crown. The show will celebrate the performer’s landmark 50th anniversary in the business, as well as the release of his new album ‘Bulletproof’, which will land at retail seven days prior to the November 18 gig. Dates in other cities are also planned. • The Zoo Twilights series in Sydney and Melbourne are off to a cracking start. The Rubens have already sold out their first shows in both cities, adding second dates (Feb 02 in Sydney, Feb 05 in Melbourne) to cope with demand. Bjorn Again’s Sydney show has also already sold out, with a number of other concerts on the verge of selling out. The 2017 Twilights series kick off in both cities on January 27. • Early bird tickets are now on sale for the 2017 Blue Mountains Music Festival, which will take over the town of Katoomba on March 17, 18 and 19. Among the acts confirmed to take part are Paul Kelly & Charlie Owen, The Waifs, Eddi Reader, Bustamento, Urthboy, Caiti Baker and many, many more. • Husky will celebrate their new single ‘Late Night Store’ with a zip around the country from the middle of this month. Proceedings kick off at the Art Gallery Of Western Australia on Thursday November 17, before a visit to the Lighthouse Folk Festival in Norah Heads two nights later. Then it’s on for more headline shows in Brisbane, Sydney, Adelaide and Melbourne over the ensuing weeks.